In Suzhou, China, is about to be finished a very weird building designed by British architect RMJM who has created two towers that are joined at the at the superior top. It is called Gate of the East and is 300 meters tall. It is expected to make Suzhou recognized worldwide for its new skyscrapers. 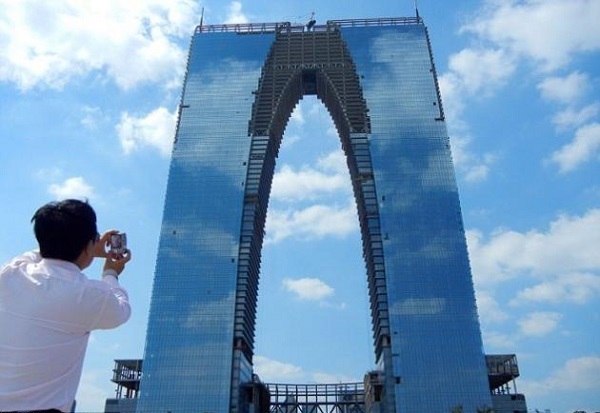 However, although many say it is something unique and innovative, there are those who scoff at the building with the claim that the skyscraper looks like a pair of trousers. 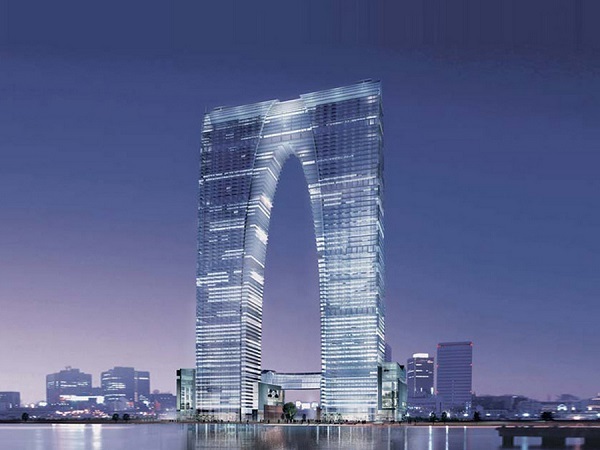 Last year, the Shanghai Daily said in a headline: Is it an arch or pants left to dry? Hundreds of users then said: This should be called Pants of the East instead of Gate of the East. The building is designed to resemble an arch making a symbolic entrance towards the center of the city which is near Shanghai in Jiangsu Province. According to RMJM the project introduces a dramatic gateway to the beautiful city of Suzhou and represents the importance of China in the world today. Sadly for the architect most of the people don’t see it like that. What do you think?